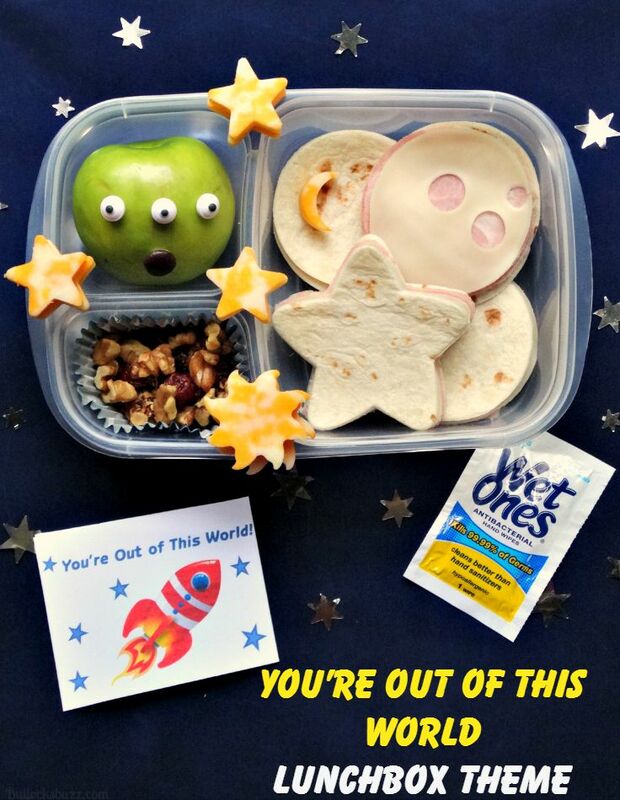 ‘You’re Out of This World’ Lunchbox Theme: Banish Lunchbox Boredom! Free Printable! Back to School Guide 2015 Children D.I.Y. It’s hard to believe that it’s already time to get back into the school year grind! Now that the shopping is out of the way, schedules have been adjusted and after school activities planned, it’s time to answer that age-old question: what should I pack for lunch? As moms we are always looking for quick and easy lunch ideas that are also healthy and delicious. We want to ensure our child is eating good-for-you ingredients that will fuel the learning and playing that happens at school. And then there are those times when we get into a lunch-packing rut. Usually around the second month of school, packing lunch has become repetitive and boring, and our kids are complaining about eating the same things over and over. 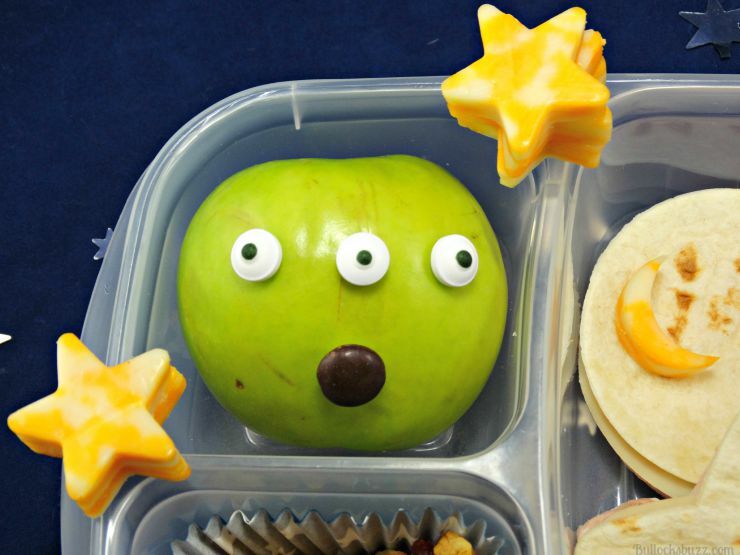 Luckily there are plenty of ways to banish lunchbox boredom! From packing unique foods with a variety of colors and textures to creating a lunchbox with a theme, all you need is a little bit of time and creativity! Since my stepson takes his lunch almost everyday, I make sure to have a variety of cute and delicious ideas planned by the start of the week. 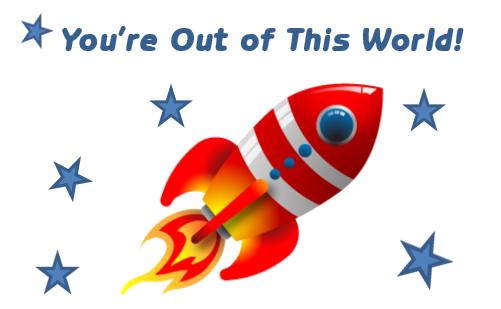 One of his favorites is the ‘You’re Out of This World!’ theme, and it takes just minutes to make! 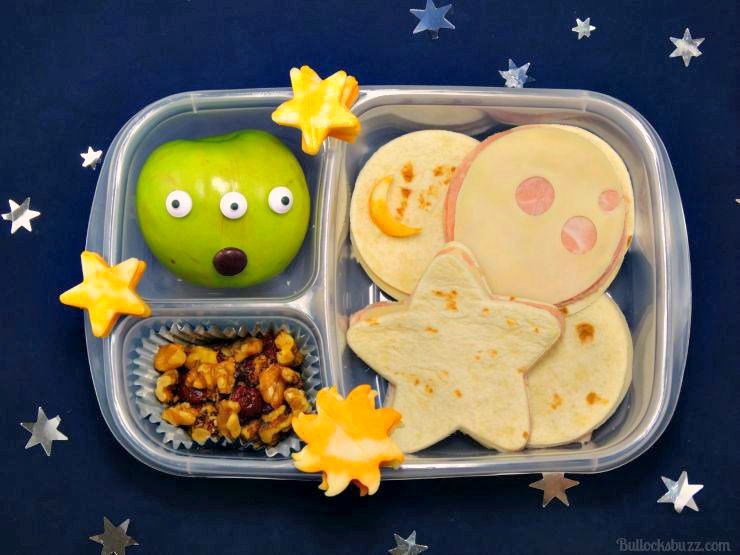 To make this cute lunchbox theme you will need a container with separate sections, ham, swiss cheese, flour tortillas, mayo, a green apple, candy eyes, M&M’s®, a small block of Colby and Monterey Jack cheese, granola, and both large and small sun, star and circle shaped cookie cutters. 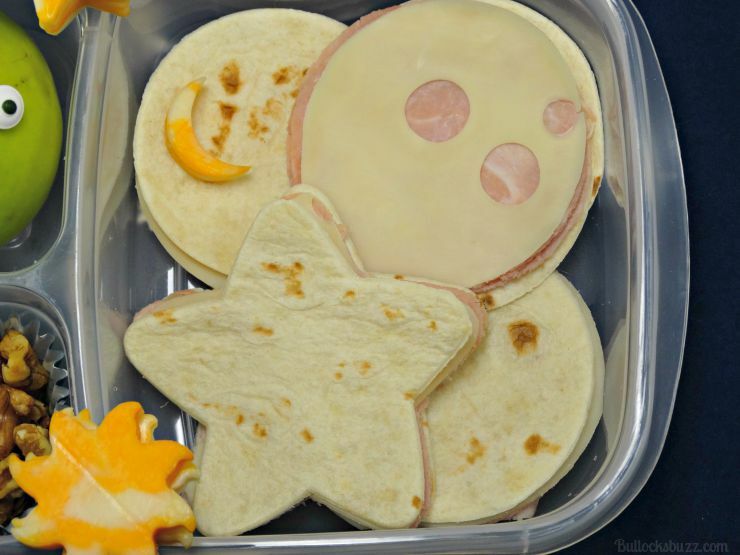 Make the Ham and Swiss Mini Moon and Star Sandwiches by using the large circle and star cookie cutters to cut out 6 circles and 2 stars (enough for 3 moons and 1 star) from the tortillas. Then cut out however many pieces of ham and swiss cheese as you prefer. Put the mini sandwiches together using a bit of mayo for extra flavor. Next, make the martian using a green apple and 3 candy eyes and a brown M&M® mouth. Stick the candy to the apple by using a dab of icing. Then fill a cupcake holder full of granola ‘space rocks’ and ‘meteors’. Use the small cookie cutters to cut out several Colby and Monterey Jack stars, suns and moons, then place it all in a container. Make sure you don’t forget the special note! You can print it for free HERE. 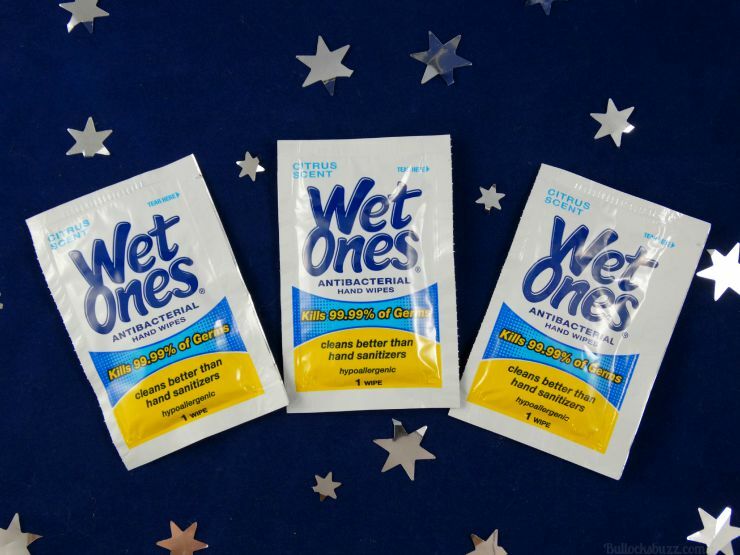 And of course, no child’s lunch is complete without a handy Wet Ones® Wipe! Part of packing a healthy lunch means avoiding dirt and germs, which is why I always throw in a Wet Ones® Wipe. These antibacterial hand wipes quickly and easily clean up dirty and sticky hands, while killing 99.99% of bacteria. Thanks to their Aloe formula, they won’t dry or irritate skin like those hand sanitizers can, and they are hypoallergenic. 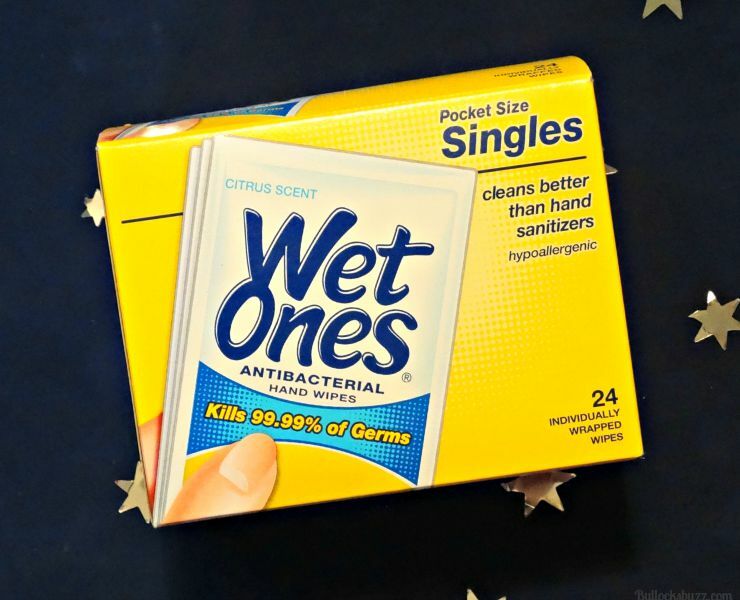 Made in Fresh Scent or Citrus, Wet Ones® hand wipes smell great too! The 24-count individually wrapped singles are the perfect size to fit into your child’s lunchbox. Plus, they are easy for little fingers to open too! 2. Colors – fill your child’s world with color by packing a different lunch box based on color each day. Then at the end, do a rainbow lunchbox! 3. Alphabet – each day choose a letter of the alphabet and try to pack foods that start with that letter. If you are having a hard time matching foods with letters, invest in a set of alphabet cookie cutters! 4. 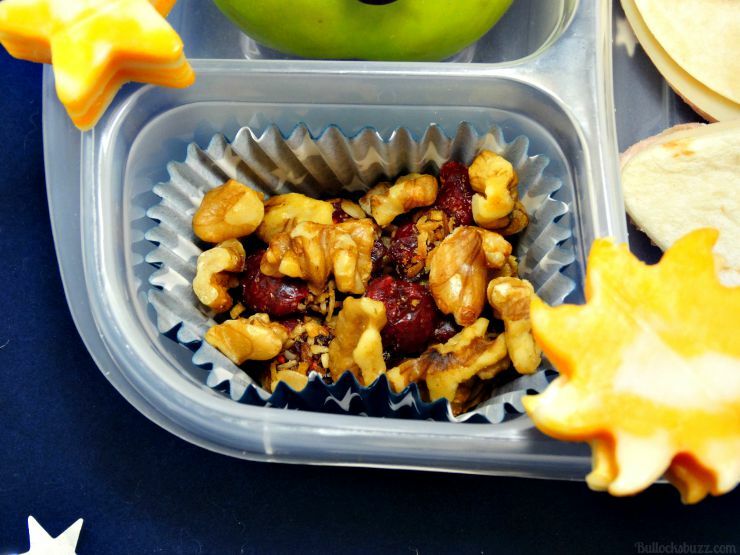 Seasons – pack lunches for every season, then expand with activities people do each season. For example, summer could be a beach theme and fall could be leaves. 5. Holidays – what a fun way to get ready for and celebrate upcoming holidays! 6.  Movies – create a lunch based on your child’s favorite movies! 10. Cartoon characters – these are sure to get a smile! No energy left to craft masked villains and striped zebras? Simply adding in a variety of foods can take your child’s lunch from an F- to an A+! Replace that sandwich with a wrap made from a rolled up tortilla. Switch out those pretzels for trail mix. Place foods in colorful silicon cups or cupcake wrappers and add a colorful toothpick. Throw in a special sticker or other small treat. 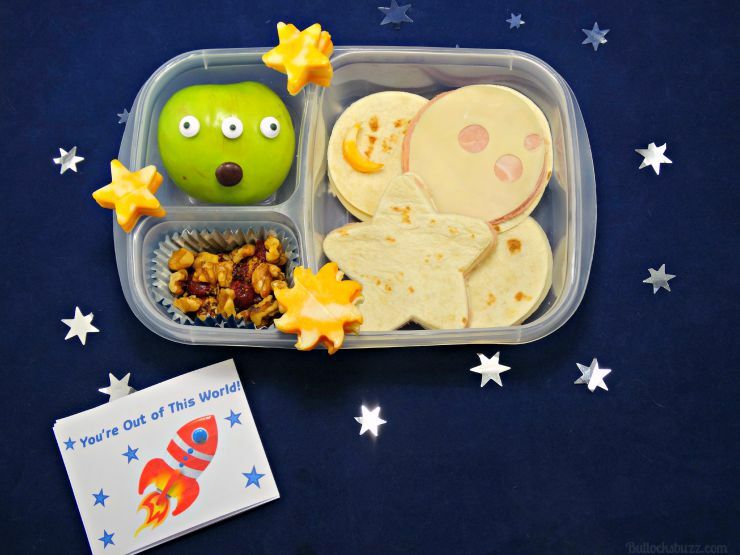 What are some of the ways you banish lunchbox boredom? Share your creative lunch ideas with us in the comments below!